After studying at the Sydney Conservatorium of Music, Sharolyn Kimmorley joined the Music Staff of The Australian Opera in 1975 and has assisted in the preparation of a vast range of works with many distinguished singers and conductors. In 1985 she became Principal Repetiteur for The Australian Opera and in 1987 was appointed Head of Music Staff. 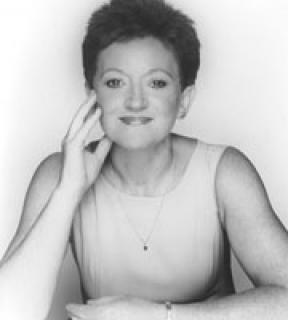 From 1994 to 1999 she was the company's Artistic Administrator, following which she was Opera Australia's Director of Music Administration until June 2003. Sharolyn Kimmorley is regarded as one of Australia’s finest vocal coaches and accompanists. She has participated in numerous broadcasts, taken part in Chamber Music Concerts, and accompanied some of the world's most distinguished recitalists including Dame Joan Sutherland, Håkan Hagegård, Neil Rosenshein, Bryn Terfel, Joan Carden, Stephen Bennett, Michael Lewis, Wilhelmenia Fernandez, Sir Thomas Allen, Désirée Rancatore, Barbara Bonney, Teddy Tahu Rhodes, David Hobson, Elizabeth Campbell, Keith Lewis, Inessa Galante, Dennis O’Neill, Kathleen Battle, Jonathan Lemalu, Peter Coleman-Wright and Cheryl Barker. Sharolyn is very active in her work to assist young singers. She arranges and accompanies concerts for organizations that raise funds to support these artists and seeks performance opportunities for them in various regional and metropolitan centres. In 2011, Sharolyn will be Associate Artist for the Australian Tour with Teddy Tahu Rhodes and David Hobson and present a recital of Scandinavian music with Catherine Carby and Leah Thomas for Art Song NSW. She will also be a member of the Faculty for the Lisa Gasteen Opera Summer School. In 2012 Sharolyn will be guest vocal coach for the Tiroler Festspiele in Erl. Sharolyn is currently Chorus Director for Southern Opera in Christchurch, Artistic Advisor to the Dame Nellie Melba Opera Trust, and an Ambassador of The Melba Foundation.